Whether this is your first pregnancy, your third (like me! ), or your sixth, I really believe that it is important to read books about pregnancy, birth, nursing, and babies to help prepare your mind, your body, and your heart for your new little bundle of joy. Of course, I had much more time to read during my first pregnancy then I do now, and in some ways I kind of feel like: Been there, done that, and that there is not much new that I can learn about being pregnant. But, the truth is that it’s been three years since I was last pregnant, and had a newborn, so I know I could use a little refreshing. • Empowered Pregnancy: The Ten Most Important Things to Know in Pregnancy — I read this book during my first pregnancy, I checked it out from the library. What I remember about it is that this book first inspired me to choose a natural birth and try to avoid the common interventions of hospital birth as much as I could. This book taught me that I was in control of my pregnancy and birth, not the doctors, or the nurses, or the hospital. If this is your first pregnancy and you are still warming up to the idea of having a natural birth, or if you’ve had interventions in past births that you would like to avoid in the future, this is a great book to start with. • The Official Lamaze Guide: Giving Birth With Confidence — I also read this book during my first pregnancy, and it further helped me to believe that I could achieve the natural birth that I wanted. It’s not specifically about the Lamaze method of birthing, in fact, I don’t think it really talks about that at all. It is just about having a natural, normal birth, and how a woman’s body is designed to give birth without all of the interventions that are so prevalent today. • The Birth Book – Another great book about natural birth with lots of helpful information about the stages of labor and managing birth naturally. This is a good book to read in the final weeks before your due date to get yourself mentally ready for the work of labor and birth. • Ina May’s Guide to Childbirth – I have to mention this on again, of course! I think this has been the perfect book for me to read during my third pregnancy, just reminding me why I choose to give birth naturally, and encouraging me that I can do it, again! But, I think it is an important book for any pregnant mama to read! • The Girlfriend’s Guide to Pregnancy – I read this book during my first pregnancy, and while it doesn’t necessarily promote natural birth, I really enjoyed reading this book the first time around because it made me laugh and feel like someone else understood what I was going through. I haven’t cracked it open during my subsequent pregnancies, but if this is your first pregnancy, this book uses humor to help you realize that what you’re experiencing is normal, and that lots of other women have been right there with you. • Real Food for Mother and Baby – I talked about this book in my healthy eating during pregnancy post, so head over there to read more, but basically I really enjoyed this book’s approach to pregnancy nutrition, and I’m sure I’ll refer to it as a nursing mama, and again when we’re ready to introduce solids. While I obviously think it’s important to read books about pregnancy and birth, I also think it’s really important to read some books about what to expect after the baby arrives. This nine month journey culminates with a newborn baby to love and care for, and you don’t want to spend so much time reading about the pregnancy and birth that you look at your new baby and wonder, Now what? You’ll probably have more time to read before the baby arrives than after, so use that time to prepare for welcoming this new little one into your family. • The Baby Book – This is one of the most comprehensive books about baby care that I have seen. It is written from an attachment parenting perspective, which our family tries to follow, but it’s also important to remember that no book is the absolute ultimate authority on parenting and raising a baby. • The Breastfeeding Book – I think it’s also important to read about breastfeeding before your baby arrives so that you at least have some head knowledge to help you in those early days of establishing your breastfeeding relationship, which definitely can be difficult for some moms and babies. This book is an excellent resource. • Raising Baby Green – I’m reading this for the first time this pregnancy and enjoying it. It’s a practical guide for going green and non-toxic throughout your pregnancy, birth, and bringing your baby home. I really appreciate how it talks about options for greener birth choices – something I haven’t seen or read elsewhere. The Business of Being Born – I just have to include this documentary because I think that it is so important for pregnant women to watch. Even if you are not interested in having a homebirth, it’s really important to understand and acknowledge the way that hospital births usually happen, and how intentional you have to be if you want to have a truly natural and normal birth in the hospital (it is possible, I’ve done it twice, but especially the first time around, I know I was going against the system). It’s on Netflix, so that is a great way to way to watch it if you have Netflix streaming. I’d love to hear what pregnancy and birth books you’ve read and would recommend! 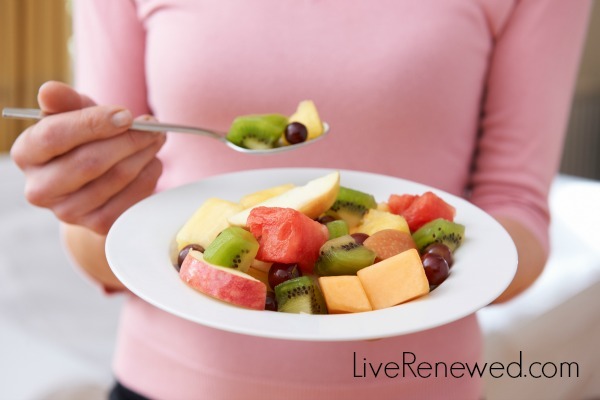 Healthy Green Pregnancy: Healthy Eating in the First Trimester My 2012 Reading List A Healthy Green Pregnancy – Surviving the First Trimester Heathy Green Pregnancy – It Starts Now! I LOVE things about pregnancy & birthing. I’ve gone through 10 of them (raising 9, a few m/c & 1 stillborn) and I’d say one of my fav’s before birth was The Birth Book (Sears) you recommended. I also really enjoyed Polly’s Birth Book: Obstetrics for the Home by Polly Block, and Ina May’s books. I think being aware of the things that can go wrong, but assuming & imagining that things will go well is crucial, and I always spent alot of time visualizing natural births…..and got them. Not without complications, but wouldn’t want to image what they might have turned out like if I hadn’t been pro-active in healthcare and visualizations. Now I’m entering the grandma stage, so excited, and likely to have our first grandbaby born at our house this summer. Yippee!! I would definitely recommend reading Making Babies by Shoshanna Easling. Great book about natural birthing and pregnancy! all great books! 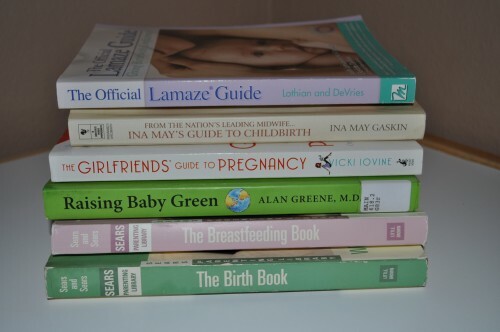 i also loved ina may’s guide to breastfeeding and another book called “from the hips” by morris and someone else? that book gives you so many details and really shows the range of pregnancy and childbirth….in a very non judgmental way. laslty, the mayo clinic guide to pregnancy was my go-to medical book for knowing what was normal and what wasn’t. I love that we posted about the same thing on the same day! I am a big fan of The Business of Being Born. I watched it before we were even ready to start trying to have kids. It left quite the impression on me and I walked away feeling like natural birth is something I could actual do. And I did!! I love this list! L I really do like the LLL book The Womanly Art of Breastfeeding. It was my go to book for bfing and baby care questions. I also liked Hypnobirthing the Morgan Method, and Birthing from Within. Both great and inspiring books.